Ref: Happy staff at Hurley Bendon, Papatoetoe, 1964, photograph reproduced courtesy of Fairfax Media, South Auckland Research Centre, Auckland Libraries, Footprints 00071. 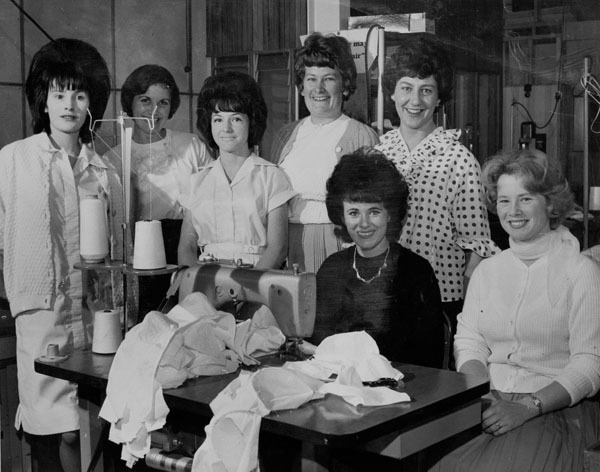 I was looking through the new publication Real modern : everyday New Zealand in the 1950s and 1960s when I saw the tea towel. Memories came flooding back. My sister and I trapped in the small space of the dark décor in our 1970s kitchen. Doing the dishes. Who gets to dry? Who has to wash? Who decides? In 2013 our family moved into a house with no dishwasher. Great, I thought, now my teenagers can get to lead real lives, they will have to do the dishes. They will have to interact with their parents in a new and inventive way; they will have to talk to each other. Ref: Souvenir tea towel of Mt Egmont (Mt Taranaki), c.1960, Maylin, Ireland, gift of Angela Lassig 2010. Image reproduced courtesy of Te Papa Press. It’s been okay, the person drying tries to leave them on the rack so they don’t have to do as much work. Hmmmmm. One of the washers does a half-pie job. But they do have to talk, they do complain sometimes, but that’s okay too. I grew up in an ex-state house at 97A Parore Street Extn. Dargaville. A cul-de-sac with a long driveway to our place down the back. 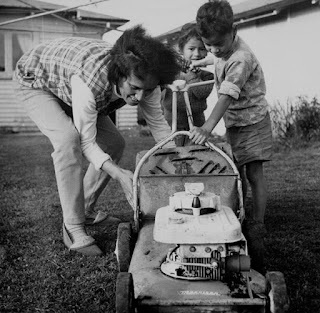 All the young kids would hang out, drift from one house to another playing, while our mothers washed clothes in ringer washing machines, cooked in kitchens with formica benchtops, and drank cups of Nescafé coffee at the neighbours. There was always a flagon of raspberry cordial in the fridge. 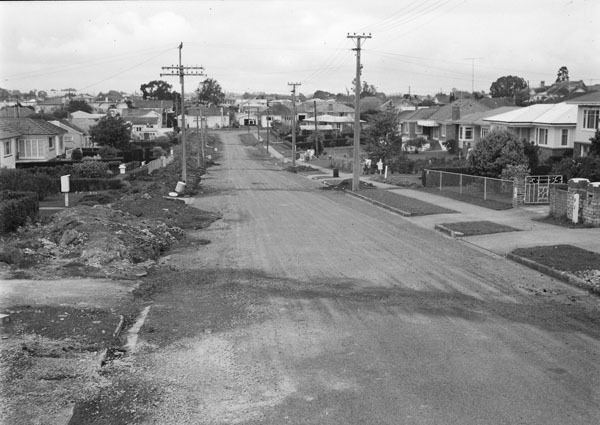 Ref: Street scene, Hayward Road, Papatoetoe, 1964, photograph reproduced courtesy of Papatoetoe Historical Society, South Auckland Research Centre, Auckland Libraries, Footprints 02298. 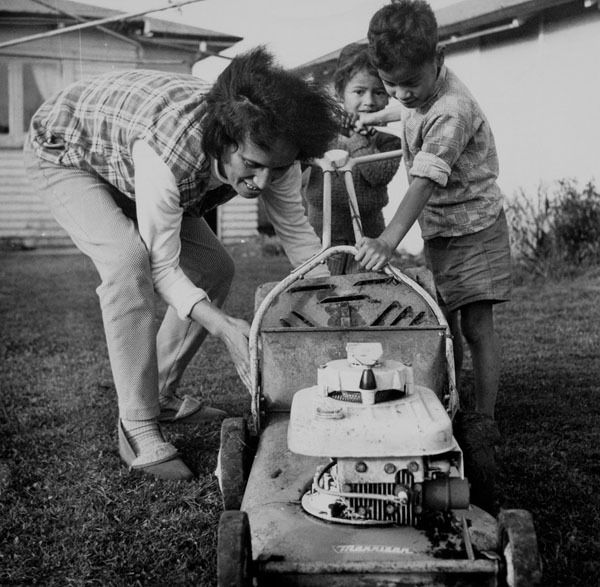 Ref: Moved by a mower, Papatoetoe, 1968, photograph reproduced courtesy of Fairfax Media, South Auckland Research Centre, Auckland Libraries, Footprints 00095. My father used to work as a milk tanker driver at the Northland Dairy Factory. He loved his job, out on the road, no boss looking over his shoulder. Beers on a Friday night. To celebrate his 50th birthday his workmates came around and put a hāngi down in the backyard at home. Mr Pou brought round his rēwana bread, it tasted really good. 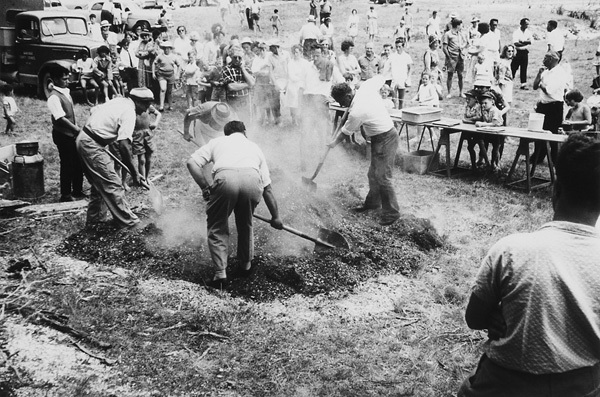 Ref: David John Shaw, Christmas hāngi, Kawakawa Bay, 1965, South Auckland Research Centre, Auckland Libraries, Footprints 11. Now and again we would take a trip down to the ‘Big Smoke’. We came to take a look at the flea market at Cook Street, to visit family and a couple of times to go to the Easter Show, magic. 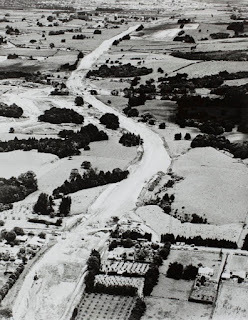 My parents always had a fear of driving on the motorway, of taking the wrong off ramp, getting lost in Auckland. 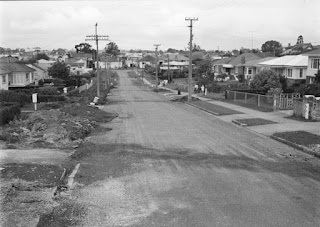 But when I was in the back of the car, driving towards the off ramps of Auckland I never had a fear of getting lost. I don’t mind getting lost; it’s a good way to find your way around. Just in the same way that you always get to where you’re going. Ref: Raymond Pegeuro, Making a motorway, Manurewa, 1960, South Auckland Research Centre, Auckland Libraries, Footprints 02991. My teenage years coincided more closely with the 1980s, but the feel of the late ‘60s and the ‘70s was still evident on the streets of Auckland. You could see it at the university, in the style of student dress, in the willingness of people to protest about social issues, and in the air, the sense of freedom. My sense of freedom came from riding on the back of a friend’s motorbike on a country road, zooming out to the beach to catch the ‘green flash’ at sunset. 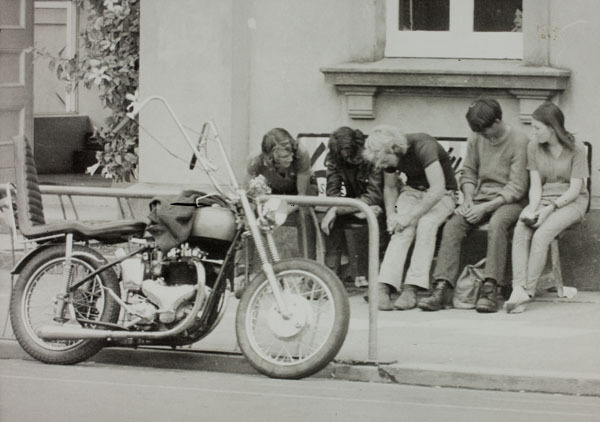 Ref: Trevor Penman, Youths outside the Papatoetoe Town Hall, c1965, photograph reproduced courtesy of Papatoetoe Historical Society, South Auckland Research Centre, Auckland Libraries, Footprints 02565. 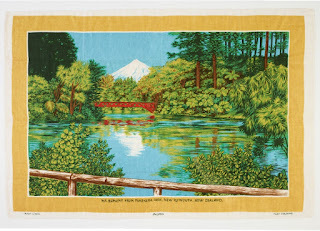 When I saw the tea towel in this book, it took me back to my childhood home. When I saw these photographs from Footprints in this book, it made me appreciate that similar experiences were shared by a whole generation. Long live raspberry cordial.